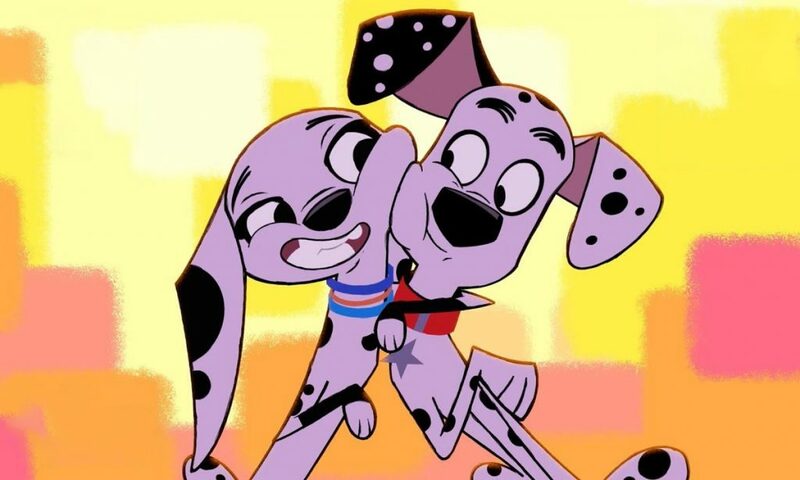 Thanks to Disney Channel Hungary, we could make an interview with Cara Speller, the producer of 101 Dalmatian Street, the new animated series based on One Hundred and One Dalmatians. Why did you choose Miklós Weigert as series director? Because he is Hungarian. Oh no, that wasn’t the case. *laughs* Disney introduced us Miklós in the first place. Miklós is an incredibly creative filmmaker and he had an idea about how this world should look like, that was just instantly engaging. So, we started to work with him on a trailer for the series, and a pilot episode which was an edited storyboard actually. And it worked really well, so we were excited to work with him for the first time. How did he respond to your request? I think he was pleased, he was probably a little bit nervous which we were too, because it was the first time for us making a sole TV series with so many episodes. So, there were a lot of things that we needed to figure out for the very first time. But you know, it’s exciting and we’ve almost made it. *laughs* We got some episodes that have been delivered now so it’s really to start seeing that coming through. In what aspects is the series different from the original movie, and in what aspects is it the same? I might answer this the other way around. So we took the original film very much as an inspiration for the new series. It’s not the same story, it’s not the same characters, it’s not 1961. It’s now, 2019 and set in London and all the characters are a lot of interpretation of the original story. But it was really important to us to retain as much as we could of what we loved about the original film. So, we asked Disney whether there was any way to see the original concept artwork from the film, that was released in 1961. They went back into their archives and gave us this incredible access to all these beautiful artworks that were created in the 50s. And we used a lot of that to inform the crew. We felt very strongly that we needed to retain even if it does look very different, it does look much more modern, much more colourful, so there are definite differences, but we wanted to keep the things that we loved about the original film as well. Did you change these things to make it more relatable to audiences today? Well, I’m sure. What children look for now is very different from what they looked for in the early 60s. But also, I think it’s so important to us to reflect what London is actually like now in 2019 which is a very different city, to what it was 50 years ago. So we really wanted to reflect that and for it to be a recognizable place of modern day London. You have worked on previous projects before the series. Did you put any reference of your works or any other crew members’ works? No, I don’t think so. Obviously everyone has works on notable productions before, and you know, we choose our crew incredibly carefully, we go through hundreds of portfolios when we’re choosing the right artists to the show. But really, what we were looking for were people, who’d be able to take Miklós’s vision and put that up on the screen. And he’s got a very a discerning eye when it comes to artwork, so you know, all the artists that we have on this show are the very high standard. And that’s been the main basis for choosing people actually, rather than what they’ve done before. 101 Dalmatian Street will be broadcast all around the world. When making the series do you think about the international audience, alongside the British and the American one? Yeah of course, but I think, again, that’s one of the things that make setting in London so perfect because it is a very multicultural city, with people from all over the world, living here or visiting. So, that didn’t seem like a difficult thing to do, it just feels right for the show. Finally, a personal question: which Disney movie and which Disney cartoon series is your favourite apart from One Hundred and One Dalmatians? Well, I can’t choose One Hundred and One Dalmatians. *laughs* I would say, I mean honestly, One Hundred and One Dalmatians is one of my favourite Disney movies of all time. My other favourite one is Jungle Book, the original film, which, when you watch it today, is just astonishing, it’s so beautiful. So for me, all the hand-drawn, traditionally animated films are the ones that I keep going back to. And yeah, they’re timeless for me. 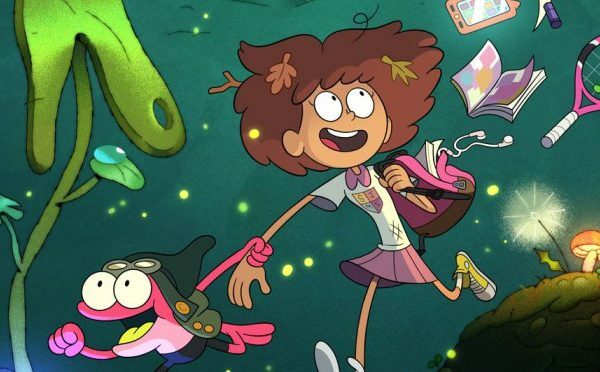 Cartoon Rapwork: hidden content in Cartoon Network series?